Any dentist will tell you that your home care is only as good as your toothbrush. If you are using a brush with worn out bristles (does yours look like you've been scrubbing the floor with it?) then no amount of "good brushing technique" can compensate. The "gold standard" for replacing your brush (or brush head if you are using a powered device) is every 3 months. Of course, the question now looms "How can I remember that it's time to replace?" That's where Quip comes in. Quip is a brush, but also more than a brush. 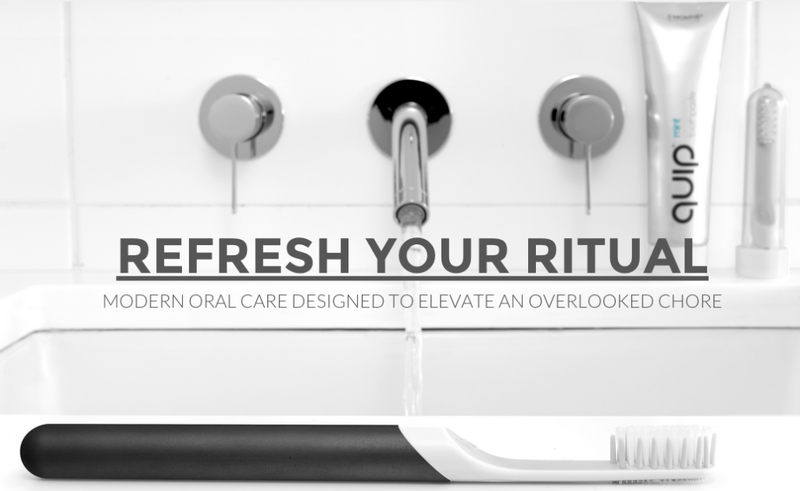 It's an entire system built around making sure your toothbrush is 3 months old or younger. How does it do that? Because Quip is a service that sends you a new bristle head and toothpaste every 3 months for $10 including shipping. That's right, you get the brush head (which attaches to the handle) and enough toothpaste for the next 3 months for only $10 total. Interested? Take a look at the Quip Website. You can also read a nice review of the product here. There is also a very nice article from my magazine, Dental Products Report here.